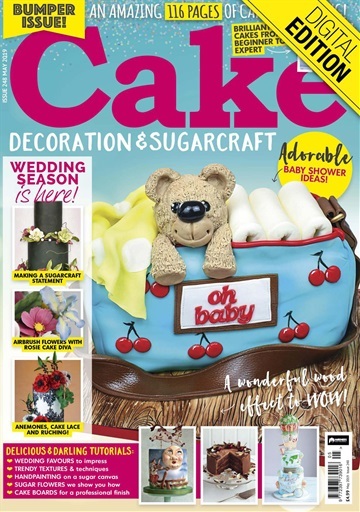 Get your FREE Sample issue of Cake Decoration & Sugarcraft Magazine today! (1 Customer Reviews) | Write Review 12 issues per year The monthly magazine Cake Decoration and Sugarcraft is the go-to guide for beginners and industry professionals alike. Whether you’re baking for fun or baking for a living, this magazine is the ideal source for tips and tricks that are sure to inspire you and improve your skills. Previously known as Cake Craft and Sugarcraft magazine, Warners, who are the proud owners, chose to change the name and give the magazine a brand new look. This gave the magazine a clearer reflection of the breadth of content in each issue - establishing it as a market leader in cake decorating. By using fondant, buttercream, royal icing and other exciting decorations, cakes can be transformed into intricate personalised creations. 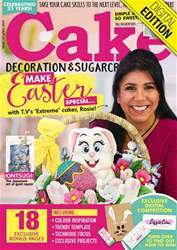 Receive seasonal decoration ideas such as cute Easter fondant work, terrifying Halloween toppers and even, ambitious birthday masterpieces - Cake Decoration and Sugarcraft magazine covers all celebrations. Make sure that every single one of your cake creations is a show stopper with Cake Decoration and Sugarcraft digital magazine! Looking for Cake Decoration & Sugarcraft Magazine in print? 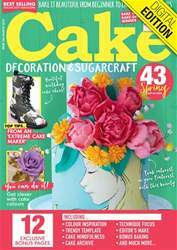 Unfortunately pocketmags.com does not sell print copies of Cake Decoration & Sugarcraft Magazine, but all is not lost. Our partner at magazine.co.uk sells print subscriptions at the best prices online. This month in our digital bonus section we have 8 Mr & Mrs templates for you to print, 3 dessert table recipes, an exclusive make from our editor and a colour inspiration page. PLUS an exclusive sneak peak of Reema Siraj's wedding dress cake featuring in the June issue! 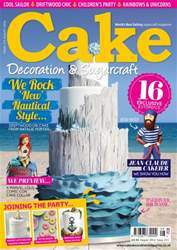 The monthly magazine Cake Decoration and Sugarcraft is the go-to guide for beginners and industry professionals alike. Whether you’re baking for fun or baking for a living, this magazine is the ideal source for tips and tricks that are sure to inspire you and improve your skills. You'll receive 12 issues during a 1 year Cake Decoration & Sugarcraft Magazine magazine subscription. 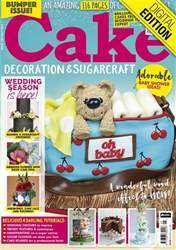 You'll receive 12 issues during a 1 year Cake Decoration & Sugarcraft Magazine magazine print subscription.